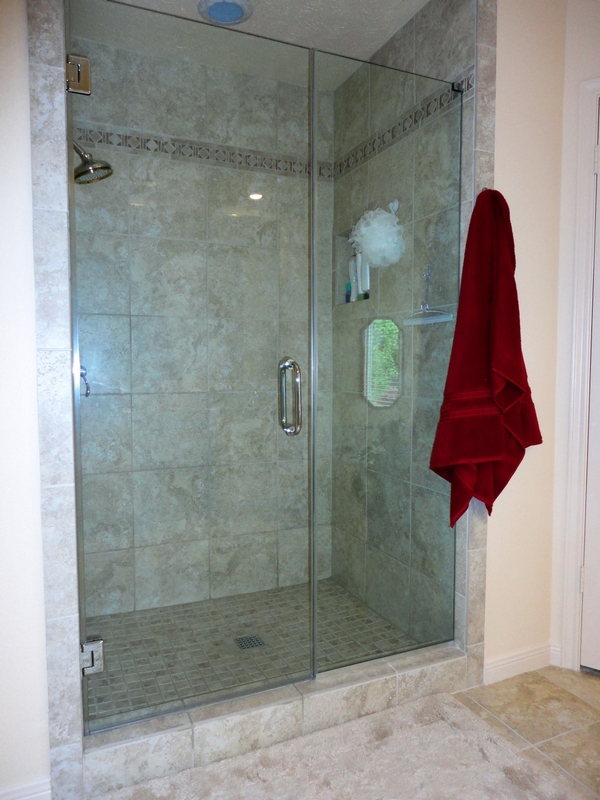 Your New Shower Door: Frameless or Conventional (Framed)? 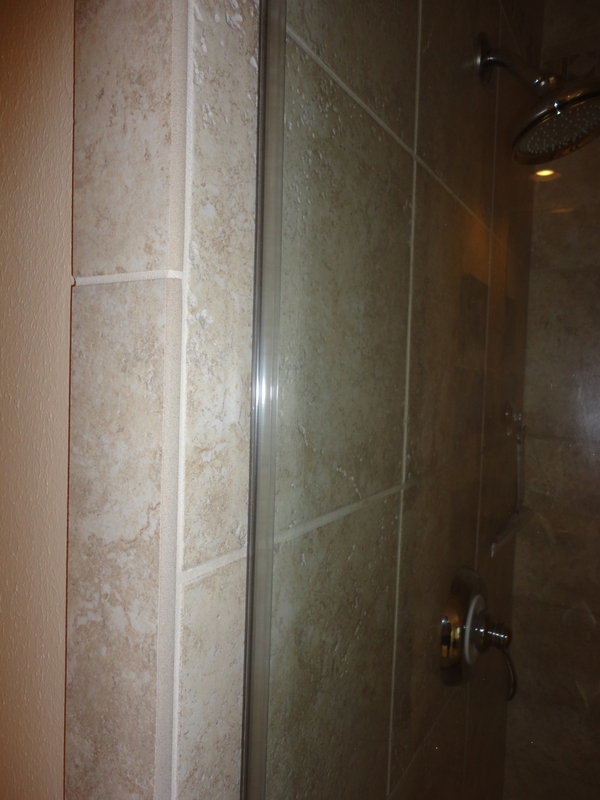 When I began building and tiling showers way back in the day (circa 1973), the standard water containment feature was either a glass enclosure with an aluminum frame around it or a simple shower curtain. Framed enclosures in those days came in two basic finishes: chrome and brass (gold tone), and the glass used was almost always frosted. It was years later that builders and designers introduced the use of clear glass — it shows the tile better in model homes and in advertising. Nowadays, framed enclosures can be had in many finishes, including oil rubbed bronze, brushed nickle and pewter to name a few. 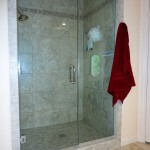 Framed, or “conventional,” shower enclosures have a couple of advantages over the newer “frameless” models: they are relatively inexpensive, and they are much easier to fabricate and install. The frame materials can accommodate walls that are somewhat out of plumb or even warped, and the glass is cut slightly smaller than the opening so that a considerable amount of adjustment or wiggle room is available to the installer. 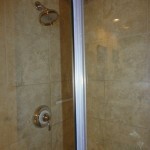 A conventional shower enclosure can usually be installed in an hour or two. Discounting style, the chief disadvantage of framed enclosures is that they are difficult to wipe down and clean. Gunk seems to gather in the numerous glass-to-metal transitions. In many cases, routine cleaning with a tooth brush might be indicated. Heavy-duty “plate” glass enclosures employing little or no metal framework have gained in popularity during the past couple decades. In stylishness, “frameless” enclosures can’t be beat. 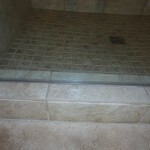 The glass used is always clear so that the tile work behind it is visible. And since there is practically no metal in view, frameless glass all but disappears. Properly cared for, a frameless enclosure will last virtually forever. 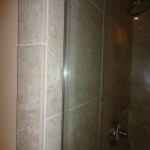 There are, however, a couple of very real drawbacks to the use of frameless glass in your shower; fabrication and installation are much more difficult, making the final product rather expensive. Additionally, thick glass is expensive, and it must be tempered after it has been cut. In Houston, the nation’s fourth largest city, there are only two facilities with kilns capable of tempering plate glass shower enclosures. Not only is price driven upward, but there is a waiting period involved. Also, it is much more difficult to render a frameless installation watertight than when a frame is employed. 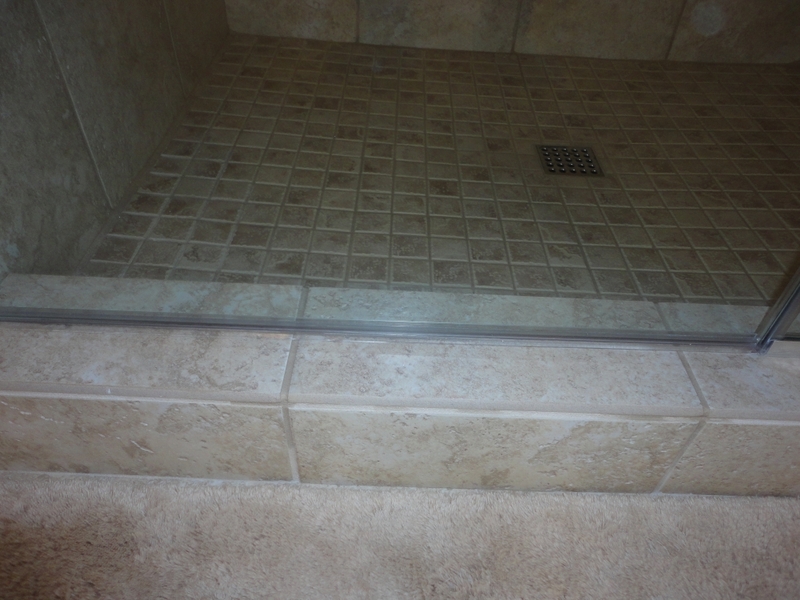 Often, a homeowner will not want gaskets added to the glass for visual reasons, so the glass has to be installed very close to the tile or stone. 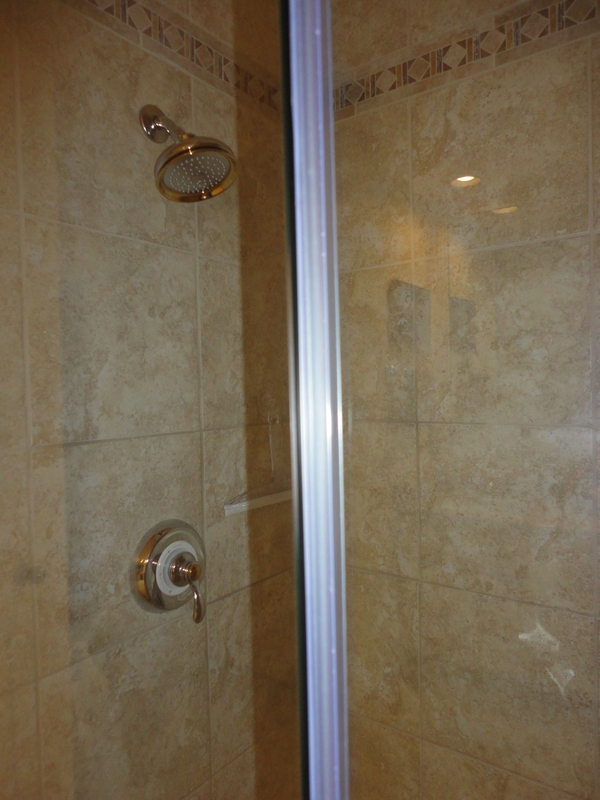 At the same time, doors have to have room to swing open, and shower water can escape through the gap. Installation requires an exacting amount of precision in fabrication. If a piece of glass is not quite right it will have to be discarded. There is no good way to cut glass once it has been tempered. If a truly watertight installation is desired, clear plastic gaskets will be used where glass meets walls and where the door closes against a fixed panel of glass. A clear curb sweep might also be employed. I’ve taken pictures of one very nice installation in the Clear Lake City area of Houston. It was done by Carlos Sarmiento. Carlos’ office number is 713-378-5445. Cell: 832-274-2165. For the rest of Houston and North Harris County I recommend DeSola Glass located in the Champions area. DeSola’s owner maintains his own work force. I don’t know of anyone else in the area who does that. Most residential glass companies farm out installations.